Are you looking for Something Blue? Here’s one you’ll love! 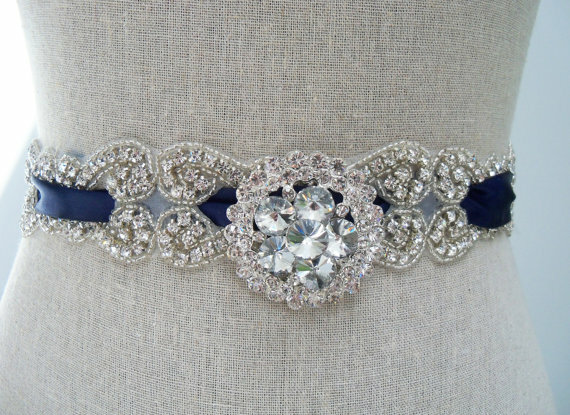 Spotted at BonBridal, this gorgeous blue velvet sash with lace features silver rhinestones and ivory glass pearls. It’s so chic! Boho brides: check out today’s daily find! 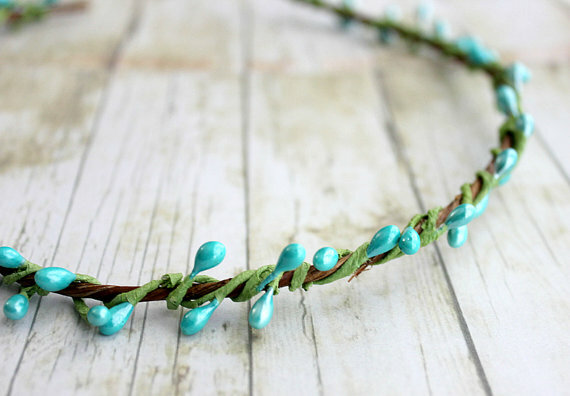 This bohemian wedding crown is the perfect alternative to a traditional veil. 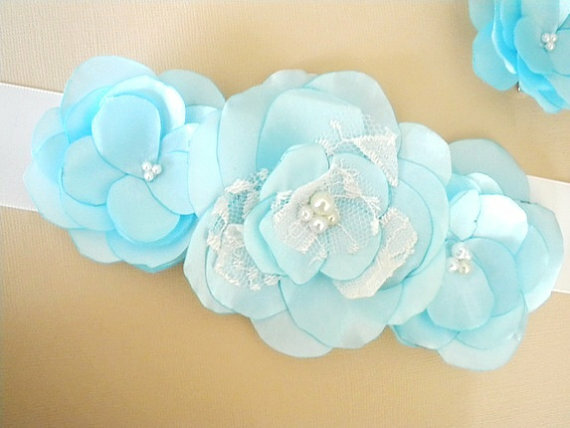 And, in this pretty shade of turquoise, as shown, the wedding crown can also act as your “something blue”. By Roses and Lemons. 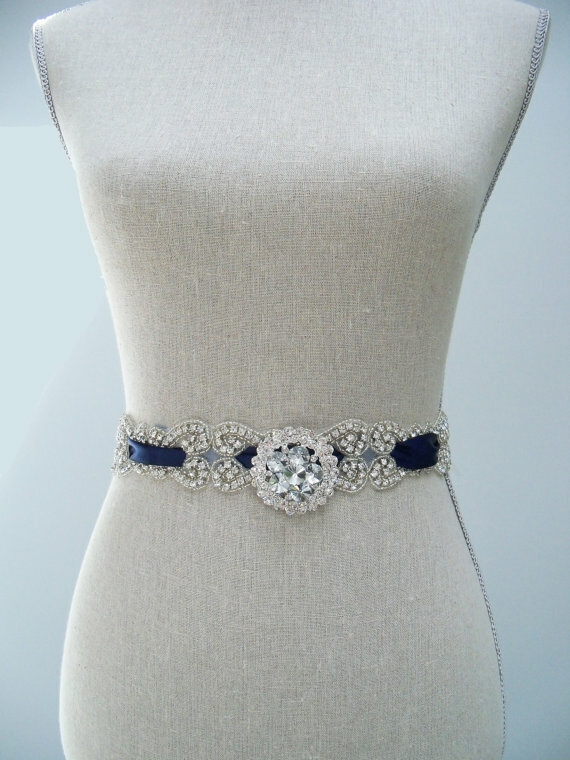 Spotted: a something blue sash for the bride or her bridesmaids! By Amu and Pri. To order yours, visit Amu and Pri. 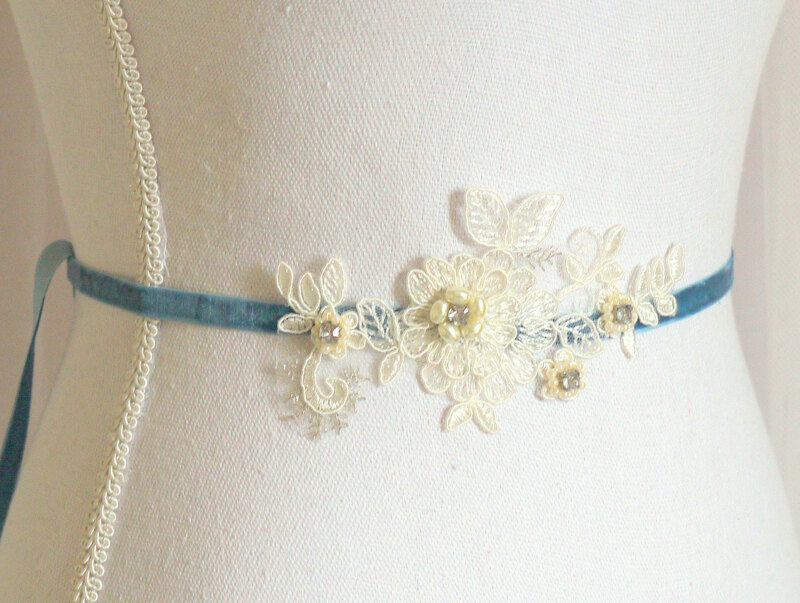 Brides: need something to wear around your neck and something blue for your big day? We’ve found it! 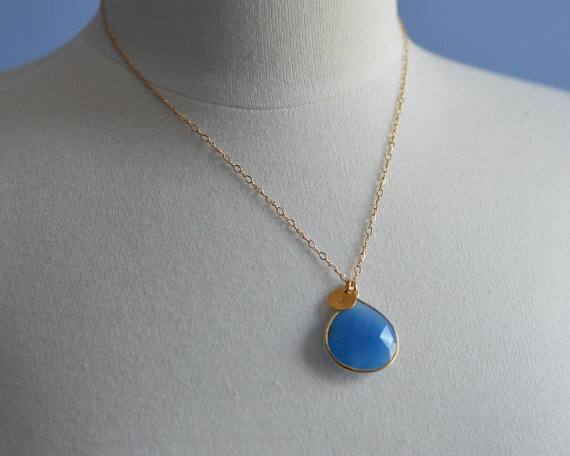 Today in The Daily Find, we’re featuring a something blue necklace with personalized charm by the lovely Figment and Rather. 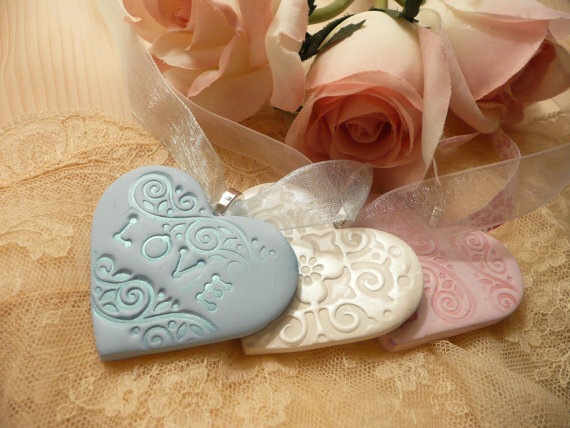 To order a necklace for yourself or your bridesmaids, visit Figment and Rather. They have PLENTY of eye candy in their shop! Enjoy! It doesn’t get much sweeter than this! 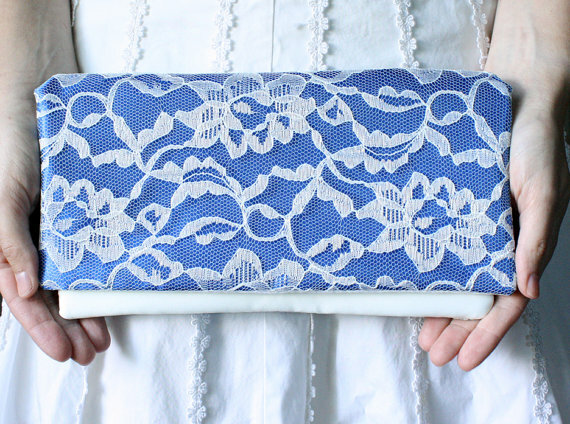 We spotted a something blue ring pillow at Gathered Wedding so completely aisle-worthy that we couldn’t wait to share it. 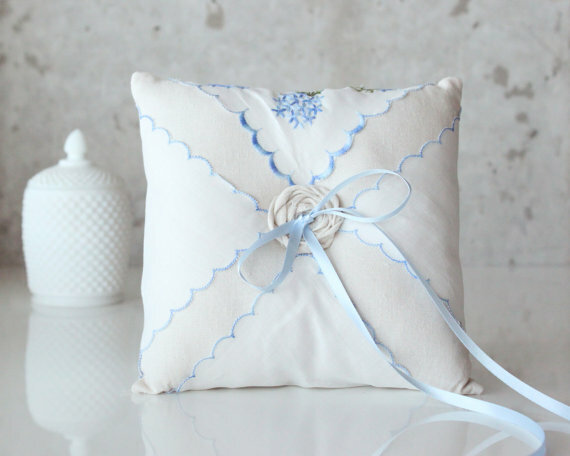 It features a touch of blue and a vintage embroidered handkerchief. Pure perfection! 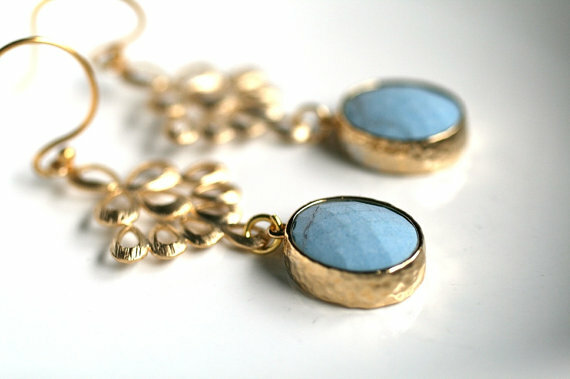 Spotted: something blue earrings for the bride! 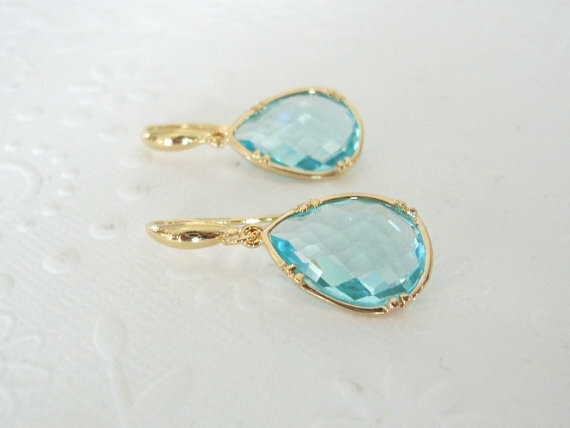 These pretty aquamarine blue glass drop earrings are sparkly with a stunning glass stone. 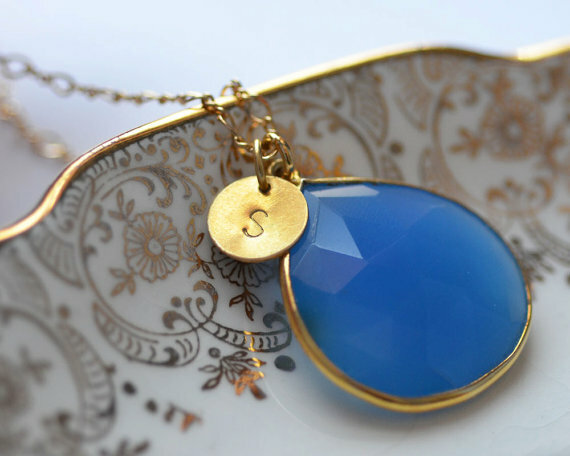 Gift to your bridesmaids or wear on your wedding day as your ‘something blue’.